There are specific “triggers/prompts” that entice people to buy products and that’s what I want to cover with you today. You can add simple prompts to your sales page, emails, social media posts and they’ll make all the difference in your sales conversion. Let me be honest, Ive had BOTH types of sales pages in the course of my business life but I want you to have the show stopping kinds and avoid the mistakes I’ve made! 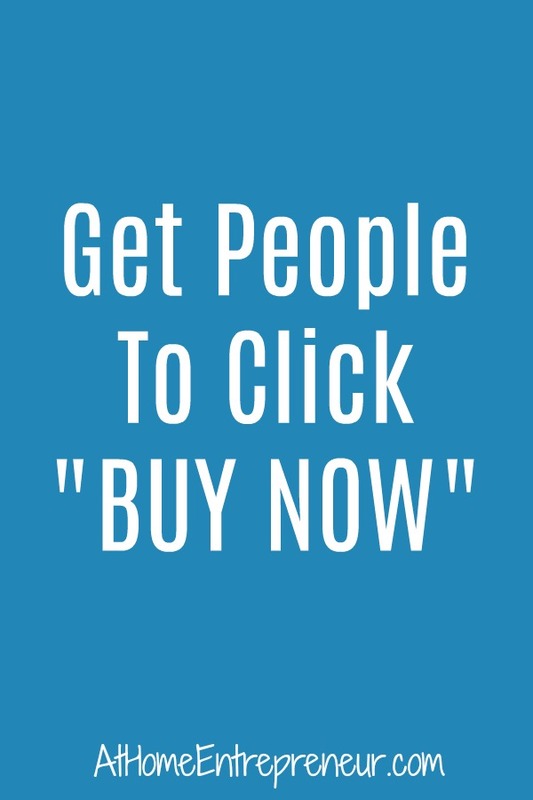 SOOO here are SIX ways to make people want to buy your stuff from your sales page! Explain what outcome your audience will have after they work with you/ buy your stuff. Every single time a sale is made, no matter what the product is, starts with a customer being dissatisfied with something and wanting to fix it. It’s the dissatisfaction that motivates people to purchase things. Think about it for a minute, if your dish washer isn’t cleaning the dishes well enough anymore you’re going to start the dishwasher shopping process, pricing out new dishwasher, because you are no longer happy with the cleaning yours does. Same goes for health and fitness, people are dissatisfied with their appearance or weight and seek fitness programs and diets to fix the issue. Same with a clothing line, purse line, line of books, whatever it is you have there is someone who NEEDS what you have. Ask yourself, about your product, if you are offering a solution to your audiences problem. Do they NEED what you have to offer? If you didn’t say yes then it’s time to reevaluate your offer. If you said No, focus on rewriting your copy to focus on the results you help with, paint the picture of success after having used your product. If something is only available for a limited time people tend to want it more. I know over Christmas we say a toddler sized lazy boy style recliner that our son sat in. He just looked soooooo adorable in it, kicked back, all relaxed like. My husband and I made it a point to go back and get it before christmas because it was just so stinking cute. Things got busy, we were in the middle of the home buying process and one thing led to another and we just forgot. We didn’t get the worlds most adorable recliner for our son, we missed the deal, we hadn’t notice the HUGE sign above the chair that said “EXCLUSIVELY for the holidays” because we were so focused on the cute kid in the chair at the moment. We did find another chair for him but every time we look at the new chair both of us have a twinge of regret for not having scooped up the chair the first time we saw it. We simply thought we had more time to consider it, but we didn’t. Exclusivity is the key to creating desire! This is a HUGE reason why you see coaches launching programs for only a “one time deal” or “for an exclusive time only”. They are creating desire for what they have to offer. It takes away the customers ability to say “Maybe i’ll buy it later”. Those people will unintentionally forget about the offer and lose the link to your page and in the end it’ll be a missed sale for you. Create offers that are available for a limited time only. Offer rates only available for a limited time <- This will only work if you actually raise your rates! Get testimonials from those who have used your offers. Short little blurbs that are a testament to your offer. When your audience see’s that other have had great success with your offer they are more enticed to also seek the amazing results as well. Everything i’ve mentioned thus far will have absolutely no bearings on your product if those who look at your stuff think you’re simply “full of crap”. You need to be the “Go To Person” for what it is you offer. You need to command respect by showing others that you do know what you’re talking about and you’re not simply blowing hot air. You gain trust, inspire others, make genuine connections and customers will come! 5. ASK for the sales you want! When you put your offer out there tell people what will happen and lead them to the BUY NOW button. Now, I’m not saying write a copy that says “heres my stuff BUY IT! !” NOOOOO gosh NO! Don’t be the icky sales person. What I am saying is that when you share your product you need to say what it is, how it will help, and how their life will transform, then ask them to check out your offer if they are DYING for the results you explained. Side Tip: If you have a sales page with the info about your product on it put more than one button on the page. There is NOTHING worse than having to scroll and scroll and scroll allllllllll the way to the bottom of the page in order to select buy now. If someone decides two seconds into your pitch they’re ready to buy they need a button right then and there. Have NO LESS than 3 buy now buttons on a sales page. Give your customers ample opportunities to buy your goods! 6. On your sales page answer those questions you get often. It’s really helpful to those who are still a bit indecisive to have an FAQ section at the bottom of your page. Tell them WHY they should trust you, WHY they need the product, WHAT they will get and should expect when they work with you, GIVE examples of others who have worked with you and were pleased, HOW what you have blows others out of the water, list any guarantees you may have. Great tips! Thank you so much for sharing! I am going to bookmark this and start implementing into my business! I’m so glad you enjoyed this post! Let me know how things work out!